Dean: Conventionally, the gross radioactivity of a reactor coolant and/or the off-gases from the reactor are monitored during operation. An abrupt rise in radioactivity indicates that a cladding leak has occurred somewhere in the system. Experimentalreactors are thereupon shut down and the offending element is removed from the system and replaced. 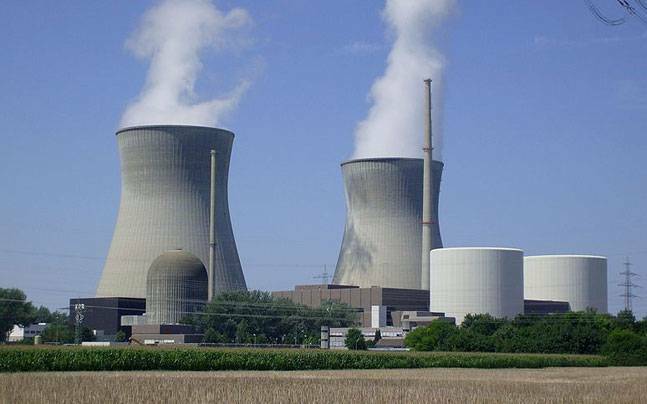 Operation of power reactors is usually continued with the leaker present — frequently with a number of leakers present — either until a scheduledshutdown occurs or until the gross radioactivity of the coolant and off-gas becomes too high to tolerate. After shutdown all offending elements are removed and replaced. In both cases identification of the failed fuel elements is necessary. Attempts have been made in the past to monitor the coolant exiting each subassembly in the reactor to determine directly the location of the failed fuel element. Unfortunately, success in this can only be attained with equipment which is extremely complex mechanically. Identification is accomplished in most commercial light-water reactors by a technique known as “sipping”. Following shutdown of the reactor the coolant in each subassembly is sampled and the sample is checked for certain radioactive fissionproducts. one thing in the commercial world.. as new fuel designs or cladding designs come on board,, they are usually “tested” in an operating reactor … something that is not so good in my opinion..
Utilities that want to go to a higher burnup limit on the fuel do it at increasing the risk of fuel pellet failures..
• ultrasonic testing and Eddy Current testing if rods are individually reachable. .. the first bullet is what I’ve seen.. they put the fuel element in the transfer mast which confines the element and then they “sipp” water out and run the water sample past a counter..
@ Edano.. this would be an excellent search ,,, a number of questions are raised around the whole issue of leakers..like.. what is shutdown criteria at NPP’s, what are the procedures in SFP for handling leakers.. remembering that if a leaker is discovered it could be releasing high level activity and in the SFP’s being out of confinement how do their procedures deal with it… etc. Edano: @dean would you say every fuel load has a leaker or is it not so often ? Dean: I am not certain on how commercial plants find the leaky fuel elements, would be a nice research. Edano: i ask because of the kikk study and the fact that they found radiation spikes around the npps while refuelling. 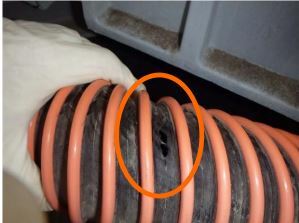 Edano; a “leaking rod” is “normal”, inevitable ? Edano: in a normal fuel rod, the decay products are supposed to stay inside the rod (the cladding). how can it be that you always find low xenon concentrations even in normal operating reactors, eg on fuel exchanges ? Dean: yes agree, We have discussed nuclear instrumentation before but thought it would be good to look at the shutdown nuclear instrumentation to detect the persence of neutrons called the COUNT RATE SYSTEM. In a reactor Uranium-235 undergoes a small rate of natural spontaneous fission, so there are always some neutrons being produced even in a fully shutdown reactor. When the control rods are withdrawn and criticality is approached the number increases because the absorption of neutrons is being progressively reduced, until at criticality the chain reaction becomes self-sustaining. Note that while a neutron source is provided in the reactor, this is not essential to start the chain reaction, its main purpose is to give a shutdown neutron population which is detectable by instruments and so make the approach to critical more observable. The reactor will go critical at the same control rod position whether a source is loaded or not. During the shutdown the count rate monitoring system uses Fission chambers are used to detect neutrons. A fission chamber contains the fissile material and a gas capable of ionising. Under the action of neutrons, the fissile material emits particles that ionise the gas. The quantity of gas ionised expresses the quantity of neutrons received in the fission chamber. Only a part of the fissile material, known as the effective mass, participates in the emission of the particles that ionise the gas. In practice, precise knowledge of the effective mass is necessary for the determination of the absolute physical magnitudes, which are the neutron flux or the indices of spectra.